Groups, associations, and academies define hi-res (or high-resolution) as lossless audio with a capability to reproduce a full range of sound through recordings that are mastered and have been better than the that coming from a compact disc. We do not want to bore you in discussing the different file formats that make hi-res audio. Each of these file formats has different compatibility requirement which makes a difference from the product you chose. Hi-res digital music player can replicate the sound quality the artists and music engineers developed. It provides the listeners with a grand texture and detail that is closer to the original performance of their favorite music. There are several devices that can support hi-res audio. Name it — laptops, smartphones, tablets, and even music players! Who does not want a high-res digital music player? Scan the list of the best hi-res digital music players to know which player is the perfect one for you. Sony Walkman NW-A45 is a great choice to those who are looking for a hi-res digital music player with a budget at hand. The Walkman is touchscreen yet has physical buttons at its side. Moreover, it has outstanding features that will make you want to have it. This Sony digital Walkman is sleek and comes with touch-screen interface. It has an internal storage capacity of 16GB. It might be too low for you, but it supports microSD cards. You can expand the storage up to 200GB to 400GB. It supports the popular hi-res audio files (FLAC, DSD, and MP4 HE-AAC) and also, MP3. 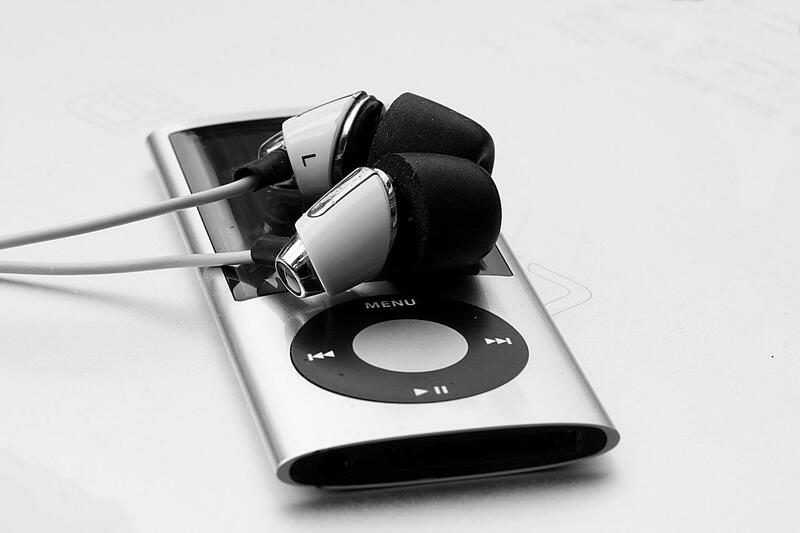 You can listen to your favorite song by yourself or share it with the people around you. It supports Bluetooth connectivity with NFC One-touch. Are you going on a trip? No worries, it has a fast-charging battery that lasts up to 45 hours. You can have the Sony Walkman NW-A45 for $218 in Amazon. It is available in Moonlit Blue and Gray. It supports DSD64 and DoP for stereos. It has an internal storage capacity of 64GB but can be expandable up to 400GBS. It comes with tracks from Super Junior that are purposely remastered for the collaboration. Buying the limited edition Astell&Kern means you will enjoy 20 pre-loaded high-resolution Super Junior songs. Its sapphire-blue aluminum body has the autographs of the Super Junior members. If you’re a huge Super Junior fan, head on over to Amazon and get this awesome player today. This is the second generation of HIDIZS AP60, although it is quite similar to its first generation there are features of AP60 II that will catch you off guard. Supports HiBY Link Bluetooth. It can also connect to smartphones. It enables your phone to become a remote control for the AP60 II. There is no internal storage, but it supports a microSD slot. Thus, it can support up to 400GB of music files. Its battery can last up to 10 to 12 hours of use. If you wonder about the difference between AP60 and AP60 II is its main body and display. AP60 II has an Aluminum main body and a touch screen display for its control. It is available in colors black, grey, and gold. You can purchase it on Amazon for $99.99! Pioneer is a renowned manufacturer of music players in the Japanese domestic market. One of its hi-res digital music players is considered as the best. Pioneer XDP-300R is a refined music player with its exemplary features. It supports an Android OS 5.1 and the highest class of amplifiers and DAC. It has internal memory storage of 32GB, but you do not have to worry. It supports two microSD slots that can add up to 512GB of external storage. You can create and store playlists with its supported methods (M3U/PLS/WPLU/PLS/WPL). It can play up to 16 hours! This amazing hi-res digital music player has a graphic equalizer that can enable to turn the frequency band up to 16,384 bands. It’s pricier than other mp3 players on this list, but if you have the money to spend, then go right over to Amazon to make the purchase. This is a multifunctional hi-res digital music player supports a multilingual selection of music playback, voice recording, and FM radio. Dodocool has a sound equalizer that supports sound effects with jazz, pop, soft, and classical. It has an internal storage of 8GB and supports a memory card slot that can expand your memory up to 256GB. Certified to support hi-res audio with hi-fi sound reproduction that complies with the standards of high-resolution audio. It supports several audio formats. You can have this amazing hi-res digital music player for only $52.99! Which smartphone has the best music quality? We usually ignore the audio quality of our smartphones, but we have overlooked the fact that we use it all the time. If you do not own a hi-res digital music player, choose a smartphone that has the best quality of speakers for music. For now, the recommended Android phone that has the best music quality is Samsung Galaxy S9. You can enjoy your favorite music with the best music player apps for your Android phone. What are stereo speakers on a phone? Our smartphones are built with two separate speakers, it has a left sound and a right sound channel. These sound channels produce a stereo effect that makes the sound realistic enough when heard. If you want to take the beat louder, you can connect your smartphone to one of the best speakers for Android phones. Where should I buy my music? You can now buy music on the Internet, music artist has found a way to easily distribute their music. We have to support music artists by appropriately and legally purchase their music. Amazon music offers unlimited access to new releases and top hits. Everyone wants to listen to their favorite band! These best hi-res digital music player offers a closer performance of your favorite music right in your hands. It is conventionally portable and packed with high-resolution audio. The music players mentioned above are designed with high-resolution. All were purposely made to play a piece of outstanding high-quality music that gives their listeners an optimum experience. Get one now! Do you have other hi-res digital music players in mind? Share it with us through the comment section.